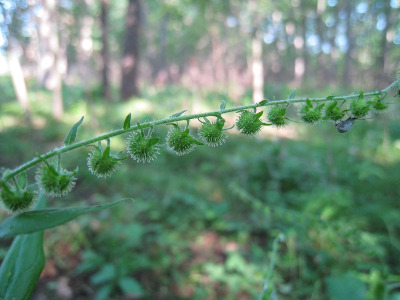 Forests and thickets: oak-hickory, beech-maple, floodplain; like H. deflexa, favors some disturbance, as along trails and other weedy openings. A biennial; the first year rosettes have petiolate, cordate-based, broad leaves, surprisingly like basal leaves of Mertensia paniculata. MICHIGAN FLORA ONLINE. A. A. Reznicek, E. G. Voss, & B. S. Walters. February 2011. University of Michigan. Web. 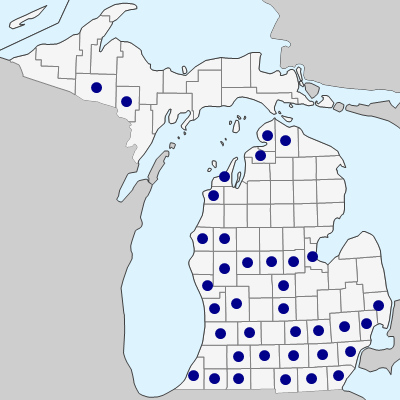 April 20, 2019. https://michiganflora.net/species.aspx?id=572.